Editor’s note: this post is written by one of the students involved in the published result. Like X-rays shining through your body can inform you about your health, the cosmic microwave background (CMB) shining through galaxy clusters can tell us about the universe we live in. When light from the CMB is distorted by the high energy electrons present in galaxy clusters, it’s called the Sunyaev-Zel’dovich effect. A new 4.1σ measurement of the kinematic Sunyaev-Zel’dovich (kSZ) signal has been made from the most recent Atacama Cosmology Telescope (ACT) cosmic microwave background (CMB) maps and galaxy data from the Baryon Oscillation Spectroscopic Survey (BOSS). With steps forward like this one, the kinematic Sunyaev-Zel’dovich signal could become a probe of cosmology, astrophysics and particle physics alike. It rolls right off the tongue, but what exactly is the kinematic Sunyaev-Zel’dovich signal? Galaxy clusters distort the cosmic microwave background before it reaches Earth, so we can learn about these clusters by looking at these CMB distortions. 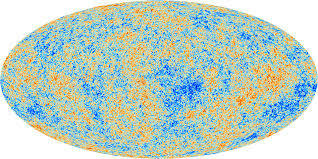 In our X-ray metaphor, the map of the CMB is the image of the X-ray of your arm, and the galaxy clusters are the bones. Galaxy clusters are the largest gravitationally bound structures we can observe, so they serve as important tools to learn more about our universe. In its essence, the Sunyaev-Zel’dovich effect is inverse-Compton scattering of cosmic microwave background photons off of the gas in these galaxy clusters, whereby the photons gain a “kick” in energy by interacting with the high energy electrons present in the clusters. The Sunyaev-Zel’dovich effect can be divided up into two categories: thermal and kinematic. The thermal Sunyaev-Zel’dovich (tSZ) effect is the spectral distortion of the cosmic microwave background in a characteristic manner due to the photons gaining, on average, energy from the hot (~107 – 108 K) gas of the galaxy clusters. The kinematic (or kinetic) Sunyaev-Zel’dovich (kSZ) effect is a second-order effect—about a factor of 10 smaller than the tSZ effect—that is caused by the motion of galaxy clusters with respect to the cosmic microwave background rest frame. If the CMB photons pass through galaxy clusters that are moving, they are Doppler shifted due to the cluster’s peculiar velocity (the velocity that cannot be explained by Hubble’s law, which states that objects recede from us at a speed proportional to their distance). The kinematic Sunyaev-Zel’dovich effect is the only known way to directly measure the peculiar velocities of objects at cosmological distances, and is thus a valuable source of information for cosmology. It allows us to probe megaparsec and gigaparsec scales – that’s around 30,000 times the diameter of the Milky Way! A schematic of the Sunyaev-Zel’dovich effect resulting in higher energy (or blue shifted) photons of the cosmic microwave background (CMB) when viewed through the hot gas present in galaxy clusters. Source: UChicago Astronomy. To make the measurement of the kinematic Sunyaev-Zel’dovich signal, the Atacama Cosmology Telescope (ACT) collaboration used a combination of cosmic microwave background maps from two years of observations by ACT. The CMB map used for the analysis overlapped with ~68000 galaxy sources from the Large Scale Structure (LSS) DR11 catalog of the Baryon Oscillation Spectroscopic Survey (BOSS). The catalog lists the coordinate positions of galaxies along with some of their properties. The most luminous of these galaxies were assumed to be located at the centers of galaxy clusters, so temperature signals from the CMB map were taken at the coordinates of these galaxy sources in order to extract the Sunyaev-Zel’dovich signal. While the smallness of the kSZ signal with respect to the tSZ signal and the noise level in current CMB maps poses an analysis challenge, there exist several approaches to extracting the kSZ signal. To make their measurement, the ACT collaboration employed a pairwise statistic. “Pairwise” refers to the momentum between pairs of galaxy clusters, and “statistic” indicates that a large sample is used to rule out the influence of unwanted effects. Here’s the approach: nearby galaxy clusters move towards each other on average, due to gravity. We can’t easily measure the three-dimensional momentum of clusters, but the average pairwise momentum can be estimated by using the line of sight component of the momentum, along with other information such as redshift and angular separations between clusters. The line of sight momentum is directly proportional to the measured kSZ signal: the microwave temperature fluctuation which is measured from the CMB map. We want to know if we’re measuring the kSZ signal when we look in the direction of galaxy clusters in the CMB map. Using the observed CMB temperature to find the line of sight momenta of galaxy clusters, we can estimate the mean pairwise momentum as a function of cluster separation distance, and check to see if we find that nearby galaxies are indeed falling towards each other. If so, we know that we’re observing the kSZ effect in action in the CMB map. 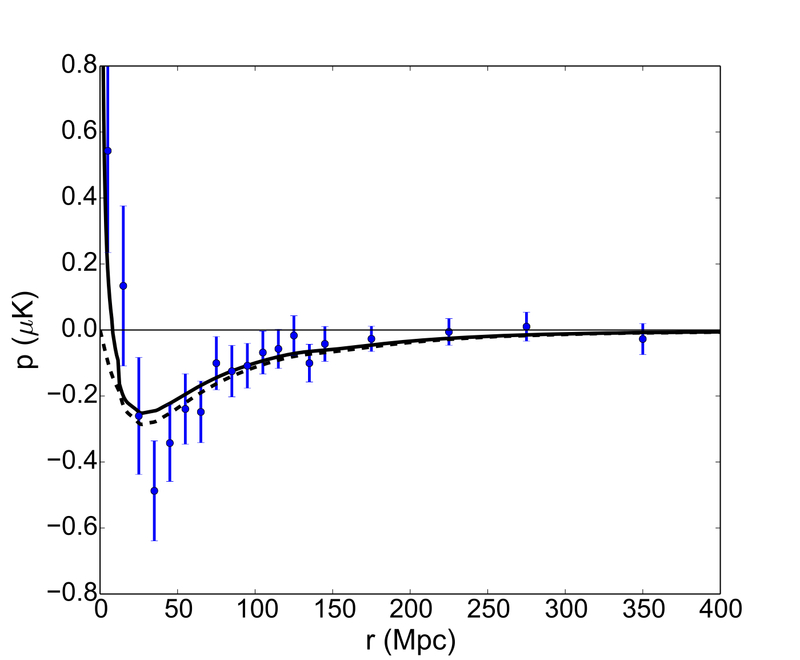 For the measurement quoted in their paper, the ACT collaboration finds the average pairwise momentum as a function of galaxy cluster separation, and explores a variety of error determinations and sources of systematic error. The most conservative errors based on simulations give signal-to-noise estimates that vary between 3.6 and 4.1. The mean pairwise momentum estimator and best fit model for a selection of 20000 objects from the DR11 Large Scale Structure catalog, plotted as a function of comoving separation. The dashed line is the linear model, and the solid line is the model prediction including nonlinear redshift space corrections. The best fit provides a 4.1σ evidence of the kSZ signal in the ACTPol-ACT CMB map. Source: arXiv:1607.02139. The ACT and BOSS results are an improvement on the 2012 ACT detection, and are comparable with results from the South Pole Telescope (SPT) collaboration that use galaxies from the Dark Energy Survey. The ACT and BOSS measurement represents a step forward towards improved extraction of kSZ signals from CMB maps. Future surveys such as Advanced ACTPol, SPT-3G, the Simons Observatory, and next-generation CMB experiments will be able to apply the methods discussed here to improved CMB maps in order to achieve strong detections of the kSZ effect. With new data that will enable better measurements of galaxy cluster peculiar velocities, the pairwise kSZ signal will become a powerful probe of our universe in the years to come. One interesting consequence for particle physics will be more stringent constraints on the sum of the neutrino masses from the pairwise kinematic Sunyaev-Zel’dovich effect. Upper bounds on the neutrino mass sum from cosmological measurements of large scale structure and the CMB have the potential to determine the neutrino mass hierarchy, one of the next major unknowns of the Standard Model to be resolved, if the mass hierarchy is indeed a “normal hierarchy” with ν3 being the heaviest mass state. If the upper bound of the neutrino mass sum is measured to be less than 0.1 eV, the inverted hierarchy scenario would be ruled out, due to there being a lower limit on the mass sum of ~0.095 eV for an inverted hierarchy and ~0.056 eV for a normal hierarchy. Forecasts for kSZ measurements in combination with input from Planck predict possible constraints on the neutrino mass sum with a precision of 0.29 eV, 0.22 eV and 0.096 eV for Stage II (ACTPol + BOSS), Stage III (Advanced ACTPol + BOSS) and Stage IV (next generation CMB experiment + DESI) surveys respectively, with the possibility of much improved constraints with optimal conditions. As cosmic microwave background maps are improved and Sunyaev-Zel’dovich analysis methods are developed, we have a lot to look forward to. Now is a good time to be a dark matter experiment. The astrophysical evidence for its existence is almost undeniable (such as gravitational lensing and the cosmic microwave background; see the “Further Reading” list if you want to know more.) Physicists are pulling out all the stops trying to pin DM down by any means necessary. However, by its very nature, it is extremely difficult to detect; dark matter is called dark because it has no known electromagnetic interactions, meaning it doesn’t couple to the photon. It does, however, have very noticeable gravitational effects, and some theories allow for the possibility of weak interactions as well. While there are a wide variety of experiments searching for dark matter right now, the scope of this post will be a bit narrower, focusing on a common technique used to look for dark matter at the LHC, known as ‘monojets’. We rely on the fact that a quark-quark interaction could actually produce dark matter particle candidates, known as weakly interacting massive particles (WIMPs), through some unknown process. Most likely, the dark matter would then pass through the detector without any interactions, kind of like neutrinos. But if it doesn’t have any interactions, how do we expect to actually see anything? Figure 1 shows the overall Feynman diagram of the interaction; I’ll explain how and why each of these particles comes into the picture. Figure 1: Feynman diagram for dark matter production process. The answer is a pretty useful metric used by particle physicists to measure things that don’t interact, known as ‘missing transverse energy’ or MEt. When two protons are accelerated down the beam line, their initial momentum in the transverse plane is necessarily zero. Your final state can have all kinds of decay products in that plane, but by conversation of momentum, their magnitude and direction have to add up to zero in the end. If you add up all your momentum in the transverse plane and get a non-zero value, you know the remaining momentum was taken away by these non-interacting particles. In our case, dark matter is going to be the missing piece of the puzzle. 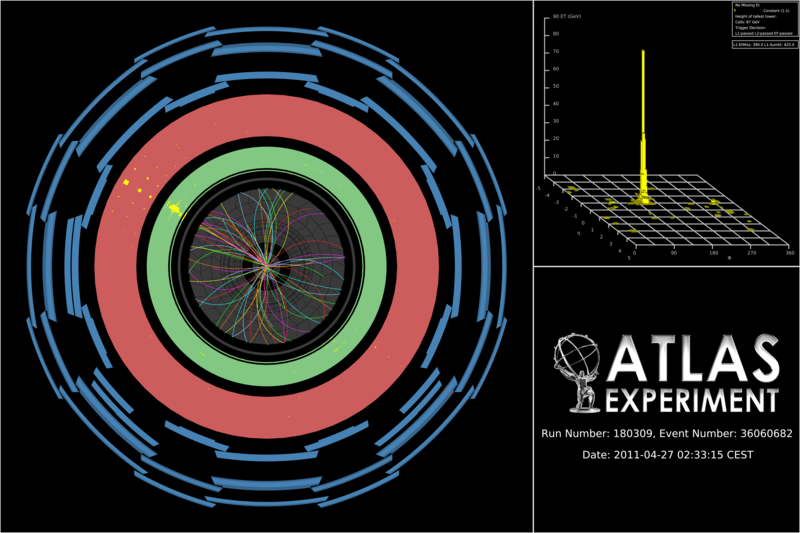 Figure 2: Event display for one of the monojet candidates in the ATLAS 7 TeV data. Now our search method is to collide protons and look for… well, nothing. That’s not an easy thing to do. So let’s add another particle to our final state: a single jet that was radiated off one of the initial protons. This is a pretty common occurrence in LHC collisions, so we’re not ruining our statistics. But now we have an extra handle on selecting these events, since that radiated single jet is going to recoil off the missing energy in the final state. An actual event display from the ATLAS detector is shown in Figure 2 (where the single jet is shown in yellow in the transverse plane of the detector). No results have been released yet from the monojet groups with the 13 and 14 TeV data. However, the same method was using in 2012-2013 LHC data, and has provided some results that can be compared to current knowledge. 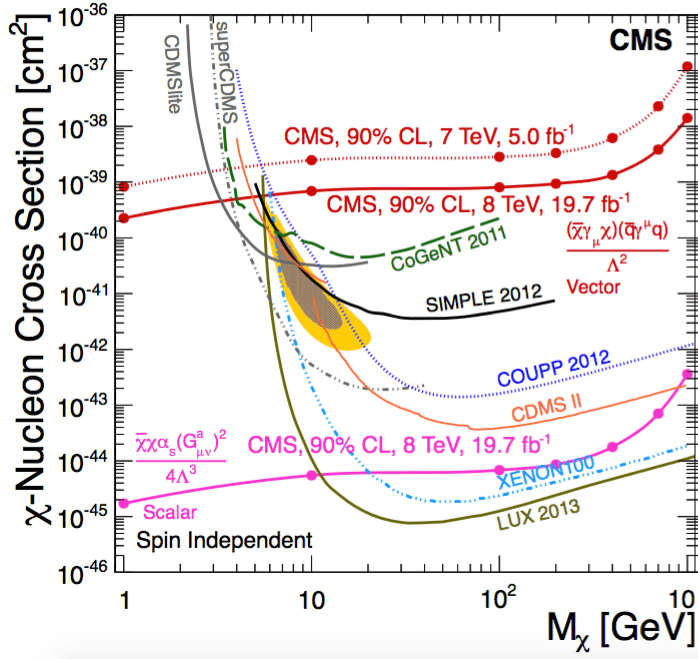 Figure 3 shows the WIMP-nucleon cross section as a function of WIMP mass from CMS at the LHC (EPJC 75 (2015) 235), overlaid with other exclusions from a variety of experiments. Anything above/right of these curves is the excluded region. From here we can see that the LHC can provide better sensitivity to low mass regions with spin dependent couplings to DM. It’s worth giving the brief caveat that these comparisons are extremely model dependent and require a lot of effective field theory; notes on this are also given in the Further Reading list. The current results look pretty thorough, and a large region of the WIMP mass seems to have been excluded. Interestingly, some searches observe slight excesses in regions that other experiments have ruled out; in this way, these ‘exclusions’ are not necessarily as cut and dry as they may seem. The dark matter mystery is still far from a resolution, but the LHC may be able to get us a little bit closer. 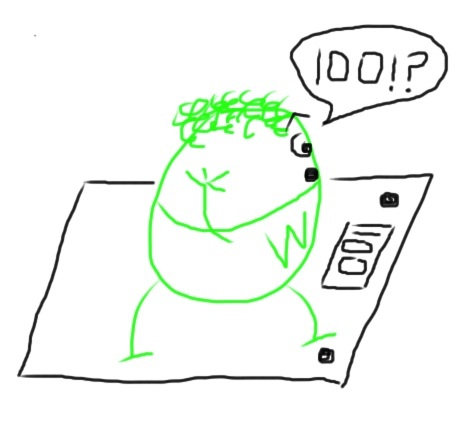 Figure 1: CERN Control Centre excitement on June 5. Image from home.web.cern.ch. After two years of slumber, the world’s biggest particle accelerator has come back to life. This marks the official beginning of Run 2 of the LHC, which will collide protons at nearly twice the energies achieve in Run 1. Results from this data were already presented at the recently concluded European Physical Society (EPS) Conference on High Energy Physics. And after achieving fame in 2012 through observation of the Higgs boson, it’s no surprise that the scientific community is waiting with bated breath to see what the LHC will do next. The first official 13 TeV stable beam physics data arrived on June 5th. 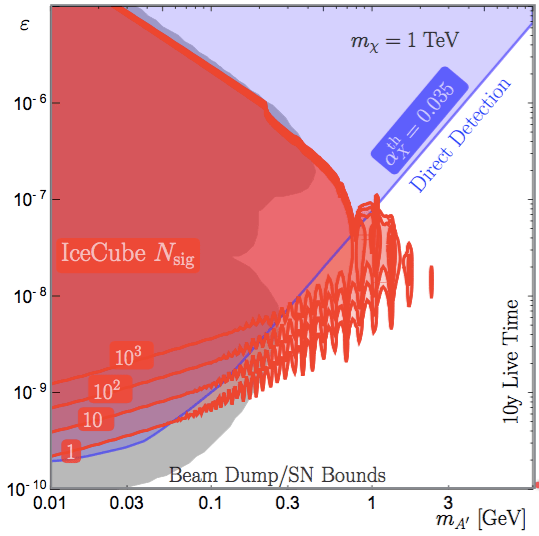 One of the first events recorded by the CMS detector is shown in Figure 2. But as it turns out, you can’t just walk up to the LHC, plug it back into the wall, and press the on switch (crazy, I know.) It takes an immense amount of work, planning, and coordination to even get the thing running. Figure 2: Event display from one of the first Run 2 collisions. The machine testing begins with the magnets. Since the LHC dipole magnets are superconducting, they need to be cooled to about 1.9K in order to function, which can take weeks. Each dipole circuit then must be tested to ensure functionality of the quench protection circuit, which will dump the beam in the event of sudden superconductivity loss. This process occurred between July and December of 2014. Once the magnets are set, it’s time to start actually making beam. Immediately before entering the LHC, protons are circling around the Super Proton Synchroton, which acts as a pre-accelerator. Getting beam from the SPS to the LHC requires synchronization, a functional injection system, beam dump procedure, and a whole lot of other processes that are re-awoken and carefully tested. By April, beam commissioning was officially underway, meaning that protons were injected and circulating, and a mere 8 weeks later there were successful collisions at the safe energy of 6.5 TeV. As of right now, the CMS detector is reporting 84 pb-1 total integrated luminosity; a day-by-day breakdown can be seen in Figure 3. 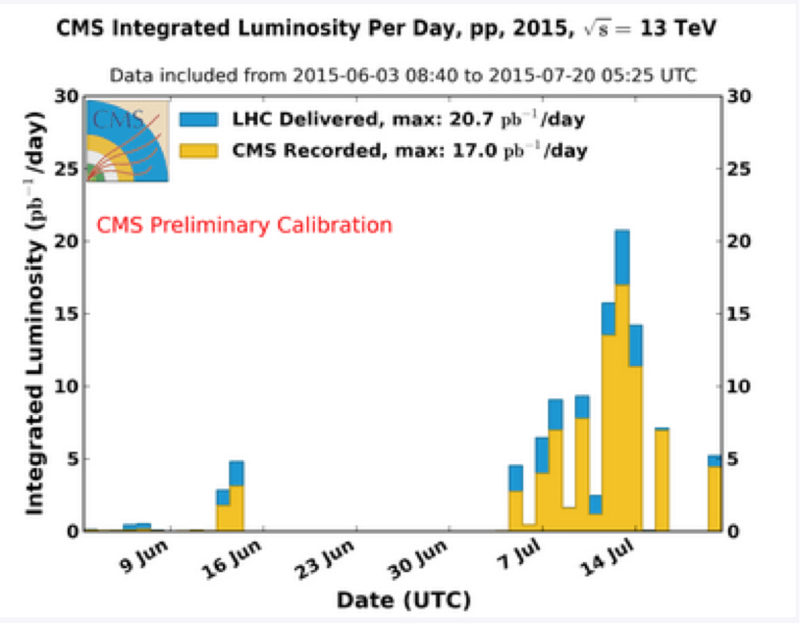 Figure 3: CMS total integrated luminosity per day, from Ref 4. But just having collisions does not mean that the LHC is up and fully functional. Sometimes things go wrong right when you least expect it. For example, the CMS magnet has been off to a bit of a rough start—there was an issue with its cooling system that kept the magnetic field off, meaning that charged particles would not bend. The LHC has also been taking the occasional week off for “scrubbing”, in which lots of protons are circulated to burn off electron clouds in the beam pipes. This is all leading up to the next technical stop, when the CERN engineers get to go fix things that have broken and improve things that don’t work perfectly. So it’s a slow process, sure. But all the caution and extra steps and procedures are what make the LHC a one-of-a-kind experiment that has big sights set for the rest of Run 2. More posts to follow when more physics results arrive! For several years, rumors have been flying around the particle physics community about an entirely new accelerator facility, one that can take over for the LHC during its more extensive upgrades and can give physicists a different window into the complex world of the Standard Model and beyond. Through a few setbacks and moments of indecision, the project seems to have more momentum now than ever, so let’s go ahead and talk about the International Linear Collider: what it is, why we want it, and whether or not it will ever actually get off the ground. The ILC is a proposed linear accelerator that will collide electrons and positrons, in comparison to the circular Large Hadron Collider ring that collides protons. So why make these design differences? Hasn’t the LHC done a lot for us? In two words: precision measurements! 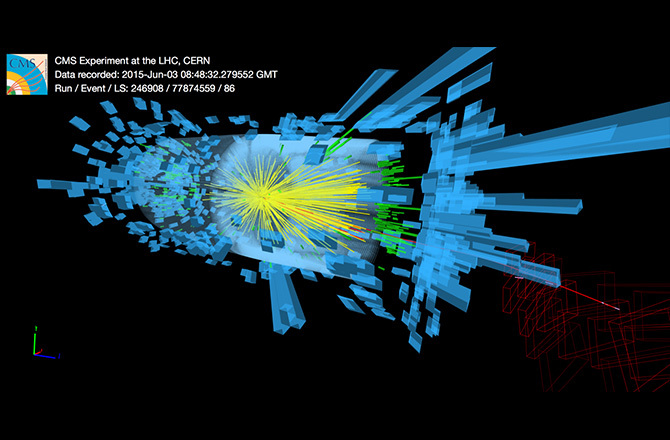 Of course, the LHC got us the Higgs, and that’s great. But there are certain processes that physicists really want to look at now that occupy much higher fractions of the electron-positron cross section. In addition, the messiness associated with strong interactions is entirely gone with a lepton collider, leaving only a very well-defined initial state and easily calculable backgrounds. Let’s look specifically at what particular physical processes are motivating this design. 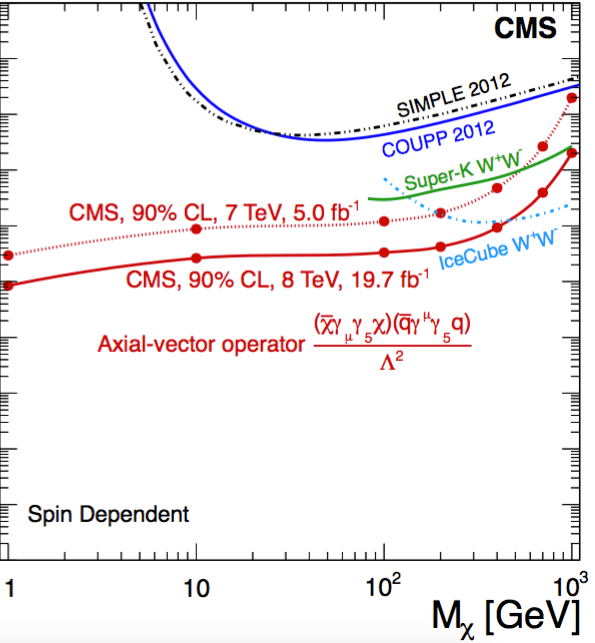 Figure 1: Higgs to fermion couplings, from CMS experiment (left) and projected for ILC (right). 1. The Higgs. Everything always comes back to the Higgs, doesn’t it? We know that it’s out there, but beyond that, there are still many questions left unanswered. Physicists still want to determine whether the Higgs is composite, or whether it perhaps fits into a supersymmetric model of some kind. Additionally, we’re still uncertain about the couplings of the Higgs, both to the massive fermions and to itself. Figure 1 shows the current best estimate of Higgs couplings, which we expect to be proportional to the fermion mass, in comparison to how the precision of these measurements should improve with the ILC. 2.The Top Quark. Another thing that we’ve already discovered, but still want to know more about its characteristics and behaviors. We know that the Higgs field takes on a symmetry breaking value in all of space, due to the observed split of the electromagnetic and weak forces. As it turns out, it is the coupling of the Higgs to the top that provides this value, making it a key player in the Standard Model game. 3.New Physics. And of course there’s always the discovery potential. 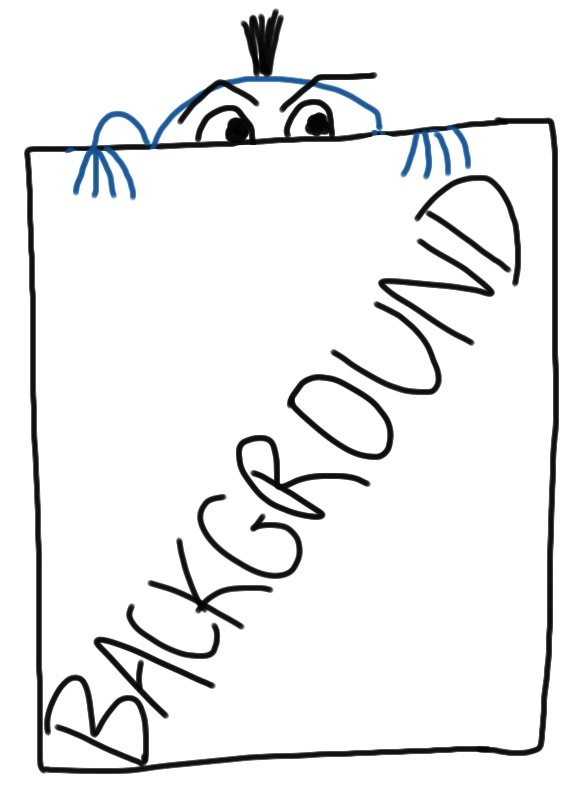 Since electron and positron beams can be polarized, we would be able to measure backgrounds with a whole new level of precision, providing a better image of possible decay chains that include dark matter or other beyond the SM particles. Let’s move on to the actual design prospects for the ILC. Figure 2 shows the most recent blueprint of what such an accelerator would look like. The ILC would have 2 separate detectors, and would be able to accelerate electrons/positrons to an energy of 500 GeV, with an option to upgrade to 1 TeV at a later point. The entire tunnel would be 31km long with two damping rings shown at the center. When accelerating electrons to extremely high energies, a linear collider is needed to offset extremely relativistic effects. For example, the Large Electron-Positron Collider synchrotron at CERN accelerates electrons to 50 GeV, giving them a relativistic gamma factor of 98,000. Compare that to a proton of 50 GeV in the same ring, which has a gamma of 54. That high gamma means that an electron requires an insane amount of energy to offset its synchrotron radiation, making a linear collider a more reasonable and cost effective choice. 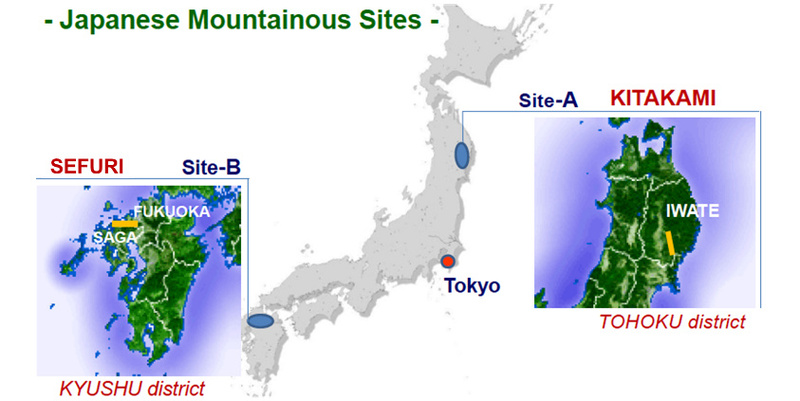 Figure 3: Possible sites for the ILC in Japan. In any large (read: expensive) experiment such as this, a lot of politics are going to come into play. The current highest bidder for the accelerator seems to be Japan, with possible construction sites in the mountain ranges (see Figure 3). The Japanese government is pretty eager to contribute a lot of funding to the project, something that other contenders have been reluctant to do (but such funding promises can very easily go awry, as the poor SSC shows us.) The Reference Design Reports report the estimated cost to be $6.7 billion, though U.S. Department of Energy officials have placed the cost closer to $20 billion. But the benefits of such a collaboration are immense. The infrastructure of such an accelerator could lead to the creation of a “new CERN”, one that could have as far-reaching influence in the future as CERN has enjoyed in the past few decades. Bringing together about 1000 scientists from more than 20 countries, the ILC truly has the potential to do great things for future international scientific collaboration, making it one of the most exciting prospects on the horizon of particle physics. 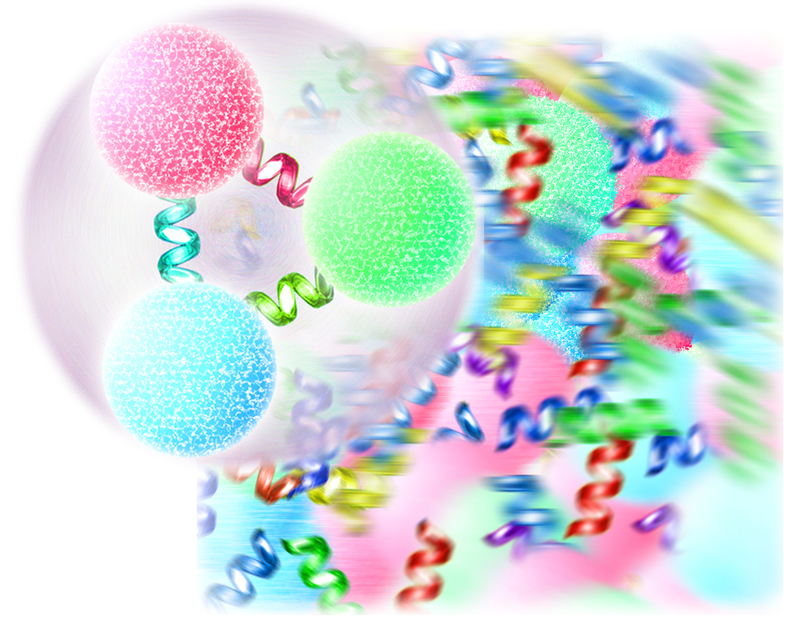 Figure 1: Artist’s rendition of a proton breaking down into free quarks after a critical temperature. Image credit Lawrence Berkeley National Laboratory. Quark gluon plasma, affectionately known as QGP or “quark soup”, is a big deal, attracting attention from particle, nuclear, and astrophysicists alike. In fact, scrolling through past ParticleBites, I was amazed to see that it hadn’t been covered yet! So consider this a QGP primer of sorts, including what exactly is predicted, why it matters, and what the landscape looks like in current experiments. To understand why quark gluon plasma is important, we first have to talk about quarks themselves, and the laws that explain how they interact, otherwise known as quantum chromodynamics. In our observable universe, quarks are needy little socialites who can’t bear to exist by themselves. We know them as constituent particles in hadronic color-neutral matter, where the individual color charge of a single quark is either cancelled by its anticolor (as in mesons) or by two other differently colored quarks (as with baryons). But theory predicts that at a high enough temperature and density, the quarks can rip free of the strong force that binds them and become deconfined. This resulting matter is thus composed entirely of free quarks and gluons, and we expect it to behave as an almost perfect fluid. Physicists believe that in the first few fleeting moments after the Big Bang, all matter was in this state due to the extremely high temperatures. In this way, understanding QGP and how particles behave at the highest possible temperatures will give us a new insight into the creation and evolution of the universe. The history of experiment with QGP begins in the 80s at CERN with the Super Proton Synchrotron (which is now used as the final injector into the LHC.) Two decades into the experiment, CERN announced in 2000 that it had evidence for a ‘new state of matter’; see Further Reading #3 for more information. Since then, the LHC and the Brookhaven Relativistic Heavy Ion Collider (RHIC) have taken up the search, colliding heavy lead or gold ions and producing temperatures on the order of trillions of Kelvin. Since then, both experiments have released results claiming to have produced QGP; see Figure 2 for a phase diagram that shows where QGP lives in experimental space. 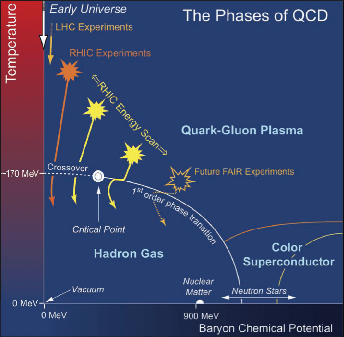 Phases of QCD and the energy scales probed by experiment. All this being said, the QGP story is not over just yet. Physicists still want a better understanding of how this new matter state behaves; evidence seems to indicate that it acts almost like a perfect fluid (but when has “almost” ever satisfied a physicist?) Furthermore, experiments are searching to know more about how QGP transitions into a regular hadronic state of matter, as shown in the phase diagram. These questions draw in some other kinds of physics, including statistical mechanics, to examine how bubble formation or ‘cavitation’ occurs when chemical potential or pressure is altered during QGP evolution (see Further Reading 5). In this sense, observation of a QGP-like state is just the beginning, and heavy ion collision experiments will surely be releasing new results in the future. How much top quark is in the proton? In fact, at first glance, this is a ridiculous question. The top quark is 175 times heavier than the proton! How does it make sense that there are top quarks “in” the proton? 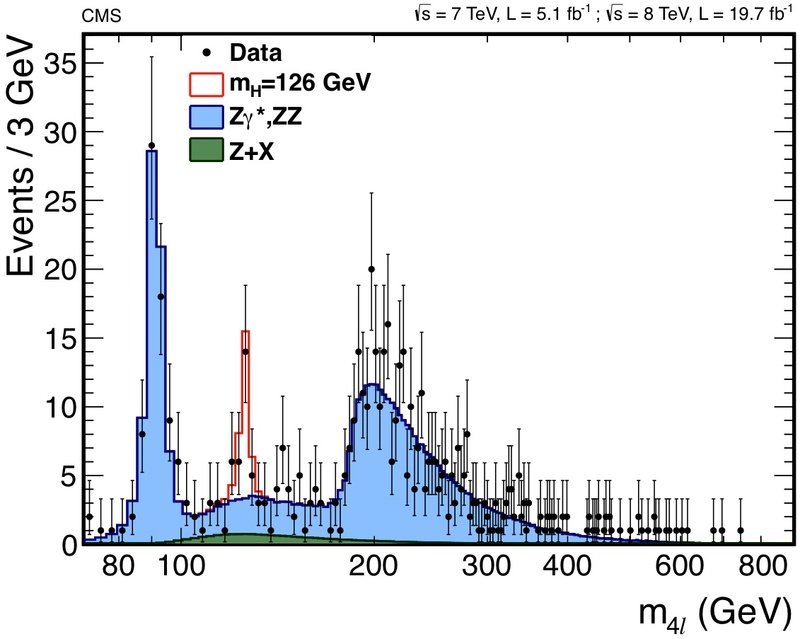 The proton (1 GeV mass) doesn’t seem to have room for any top quark component (175 GeV mass). The discussion is based on preliminary plans to build a 100 TeV collider, though there’s a similar story for b quarks (5 times the mass of the proton) at the LHC. Before we define what we mean by treating the top as a parton, we should define what we mean by proton! We can describe the proton constituents by a series of parton distribution functions (pdf): these tell us the probability of that you’ll interact with a particular piece of the proton. These pdfs are energy-dependent: at high energies, it turns out that you’re more likely to interact with a gluon than any of the “valence quarks.” At sufficiently high energies, these gluons can also produce pairs of heavier objects, like charm, bottom, and—at 100 TeV—even top quarks. But there’s an even deeper sense in which these heavy quarks have a non-zero parton distribution function (i.e. “fraction of the proton”): it turns out that perturbation theory breaks down for certain kinematic regions when a gluon splits into quarks. That is to say, the small parameters we usually expand in become large. 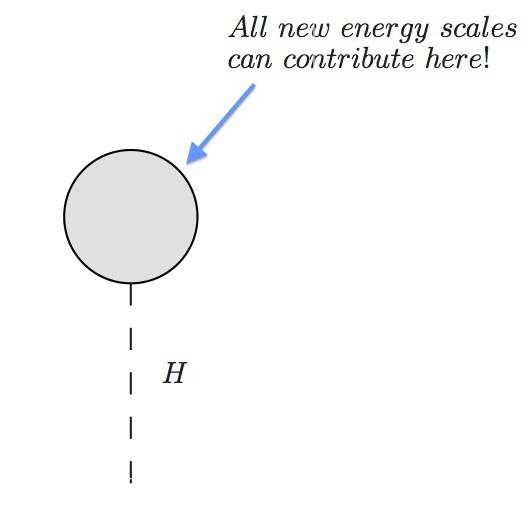 Theoretically, a technique to keep the expansion parameter small leads to an interpretation of this “high-energy gluon splitting into heavy quarks inside the proton” process as the proton having some intrinsic heavy quark content. This is called perturbative QCD, the key equation known as DGLAP. High energy gluon splittings can yield top quarks (lines with arrows). When one of these top quarks is collinear with the beam (pink, dashed), the calculation becomes non-perturbative. Maintaining the perturbation expansion parameter leads on to treat the top quark as a constituent of the proton. Solid blue lines are not-collinear and are well-behaved. 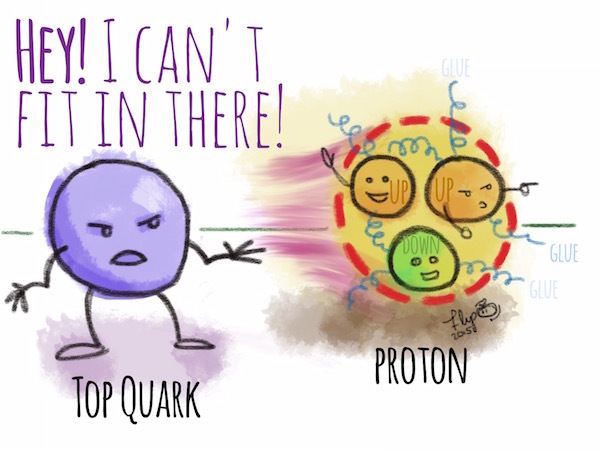 In the cartoon above: physically what’s happening is that a gluon in the proton splits into a top and anti-top. When one of these is collinear (i.e. goes down the collider beamline), the expansion parameter blows up and the calculation misbehaves. In order to maintain a well behaved perturbation theory, DGLAP tells us to pretend that instead of a top/anti-top pair coming from a gluon splitting, one can treat these as a top that lives inside the high-energy proton. A gluon splitting that gives a non-perturvative top can be treated as a top inside the proton. This is the sense in which the top quark can be considered as a parton. It doesn’t have to do with whether the top “fits” inside a proton and whether this makes sense given the mass—it boils down to a trick to preserve perturbativity. One can recast this as the statement that the proton (or even fundamental particles like the electron) look different when you probe them at different energy scales. One can compare this story to this explanation for why the electron doesn’t have infinite electromagnetic energy. The authors of 1411.2588 a study of the sensitivity a 100 TeV collider to processes that are produced from fusion of top quarks “in” each proton. With any luck, such a collider may even be on the horizon for future generations. Over the past decade, a new trend has been emerging in physics, one that is motivated by several key questions: what do we know about the origin of our universe? What do we know about its composition? And how will the universe evolve from here? To delve into these questions naturally requires a thorough examination of the universe via the astrophysics lens. But studying the universe on a large scale alone does not provide a complete picture. In fact, it is just as important to see the universe on the smallest possible scales, necessitating the trendy and (fairly) new hybrid field of particle astrophysics. In this post, we will look specifically at the cosmic microwave background (CMB), classically known as a pillar of astrophysics, within the context of particle physics, providing a better understanding of the broader questions that encompass both fields. 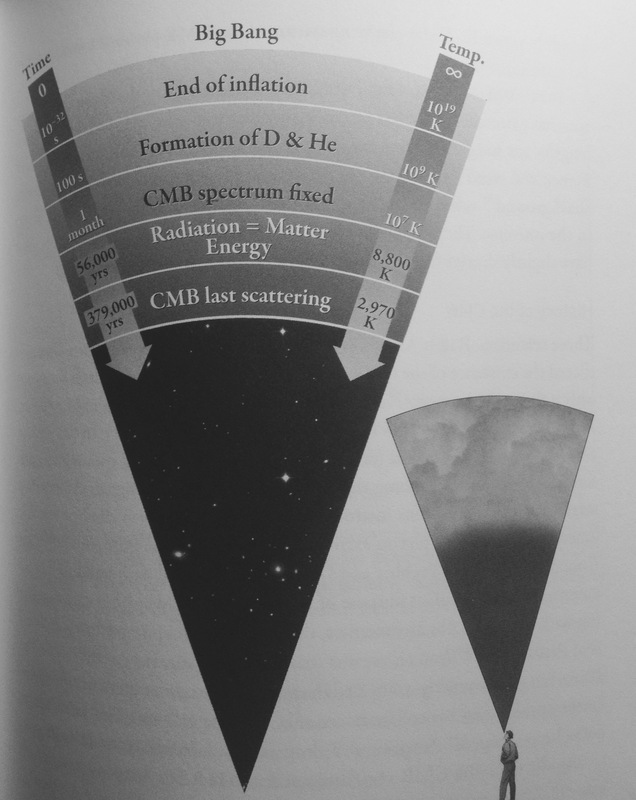 Essentially, the CMB is just what we see when we look into the sky and we aren’t looking at anything else. Okay, fine. But if we’re not looking at something in particular, why do we see anything at all? The answer requires us to jump back a few billion years to the very early universe. Figure 1: Particle interactions shown up to point of recombination, after which photon paths are unchanged. Immediately after the Big Bang, it was impossible for particles to form atoms without immediately being broken apart by constant bombardment from stray photons. About 380,000 thousand years after the Big Bang, the Universe expanded and cooled to a temperature of about 3,000 K, allowing the first formation of stable hydrogen atoms. Since hydrogen is electrically neutral, the leftover photons could no longer interact, meaning that at that point their paths would remain unaltered indefinitely. 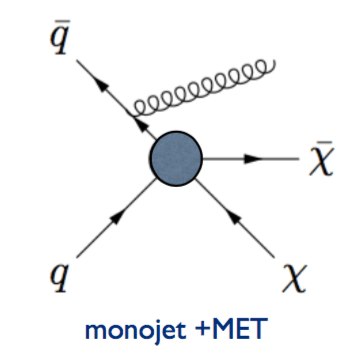 These are the photons that we observe as CMB; Figure 1 shows this idea diagrammatically below. From our present observation point, we measure the CMB to have a temperature of about 2.76 K.
Since this radiation has been unimpeded since that specific point (known as the point of ‘recombination’), we can think of the CMB as a snapshot of the very early universe. It is interesting, then, to examine the regularity of the spectrum; the CMB is naturally not perfectly uniform, and the slight temperature variations can provide a lot of information about how the universe formed. In the early primordial soup universe, slight random density fluctuations exerted a greater gravitational pull on their surroundings, since they had slightly more mass. This process continues, and very large dense patches occur in an otherwise uniform space, heating up the photons in that area accordingly. The Planck satellite, launched in 2009, provides some beautiful images of the temperature anisotropies of the universe, as seen in Figure 2. Some of these variations can be quite severe, as in the recently released results about a supervoid aligned with an especially cold spot in the CMB (see Further Reading, item 4). Figure 2: Planck satellite heat map images of the CMB. 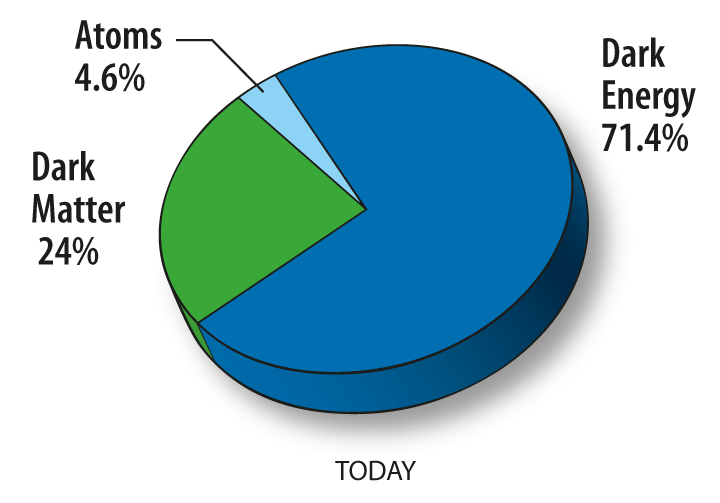 Figure 3: Composition of the universe by percent. So what does this all have to do with particles? We’ve talked about a lot of astrophysics so far, so let’s tie it all together. The big correlation here is dark matter. The CMB has given us strong evidence that our universe has a flat geometry, and from general relativity, this provides restrictions on the mass, energy, and density of the universe. In this way, we know that atomic matter can constitute only 5% of the universe, and analysis of the peaks in the CMB gives an estimate of 26% for the total dark matter presence. The rest of the universe is believed to be dark energy (see Figure 3). Both dark matter and dark energy are huge questions in particle physics that could be the subject of a whole other post. But the CMB plays a big role in making our questions a bit more precise. The CMB is one of several pieces of strong evidence that require the existence of dark matter and dark energy to justify what we observe in the universe. Some potential dark matter candidates include weakly interacting massive particles (WIMPs), sterile neutrinos, or the lightest supersymmetric particle, all of which bring us back to particle physics for experimentation. Dark energy is not as well understood, and there are still a wide variety of disparate theories to explain its true identity. But it is clear that the future of particle physics will likely be closely tied to astrophysics, so as a particle physicist it’s wise to keep an eye out for new developments in both fields!